We are moving into what is my favorite time of the year. It is always a time of reflection upon our year and we look upon all that we can be thankful for as the days and months have rolled by so swiftly. For me it is time to look at what I have been so greatly blessed with recently. 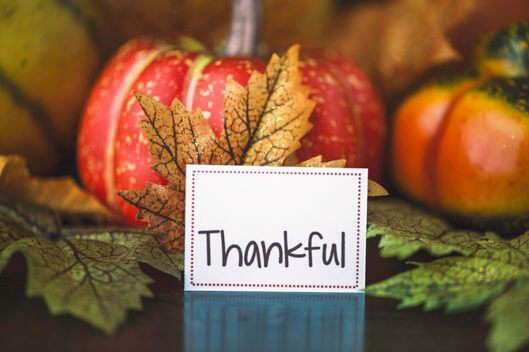 So much to be thankful for with family and friends, but a focus lately has been during this time of having six added states to my territory in the past 3 months, I am so grateful to all of you and give thanks for your graciousness in our conversations and the process of getting to know so many of you a bit better. All of you have been so helpful during this transitional process in assisting me in learning more of all that your destinations have to offer our readers, and all of the experiences they can be planning for and adding to their Group itineraries moving into 2019/20. I am looking forward to meeting so many of you in the upcoming months at Travel Shows and conferences throughout the south and creating new and lasting relationships. May all of us have a great understanding during this season of all that we can look back on and say, “Yes, very thankful and blessed” for so much! Have a wonderful time of year with family, friends and travel partners.